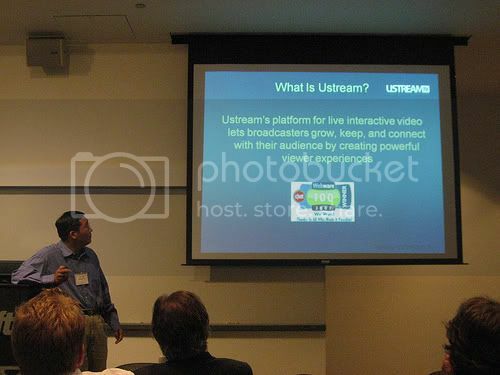 Ustream.TV continues to lead the LIVE video streaming community by winning “Best of Show” at the highly respected Under The Radar Entertainment and Media Conference 2007. Ustream.TV also won the Internet TV category already previously announced. “Ustream.TV continues to demonstrate the excitement and promise of LIVE video. We are honored to win this prestigious award. Ustream.TV will continue to innovate and grow to live up to such a honor,” says Brad Hunstable, Founder of Ustream.TV. Ustream.TV was selected Best In Show out of a group 32 of the hottest companies in the entertainment and media industry. 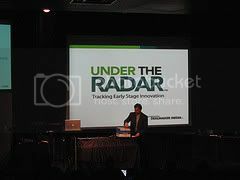 The Under The Radar Conference presents startups who are shaping the future of entertainment and media. The Conference showcases the future leaders of innovation – startups with next big idea, seasoned management teams and pedigrees that get the blogosphere buzzing. For more information visit www.undertheradarblog.com.